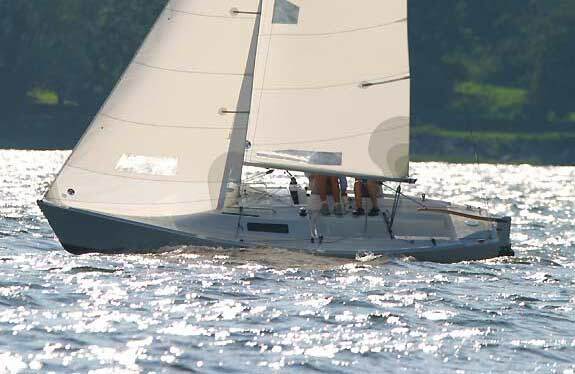 What is the difference between sailing a J22 vs a 420? I realize that the J22 has a motor, but isn't that just for the sake of convenience? So if I've only ever sailed a 420, what would I need to know about the J22 before sailing it? You need to bear in mind the draught will be a lot bigger on the J22 so you won't be able to sail into shallow water - if you do, you won't be able to get back out easily because obviously it's not practical to lift the keel up whilst sailing (I don't know if a J22 has a lifting keel or not). Obviously if you hit something it's going to do more damage that a 420 because it's much heavier. The loads on everything will be a bit bigger, which shouldn't be a problem provided you're careful. You also need to consider where you're going to store the boat. I imagine a J22 is trailable as it's pretty small, so you've got the option to lift it out and take it home after each session. Your other options are paying for a swinging mooring (which you will need to learn how to sail onto), or paying for a berth in a marina (some locations will only have one of these available to you depending on where you sail). If you don't want to anti foul the boat then you can dry sail it (meaning that it will be put in the water when you want to use it, lifted out afterwards and stored in the boat yard) although this is a pretty expensive way of doing things and unless you're racing the boat seriously then it isn't really worth it if there are other alternatives available. It's a good idea to go and sail on other peoples keelboats before you buy your own so you can get an idea of the best way to do things. It'll teach you what to do when things go wrong and how to do everything you need to be able to do for yourself on your own boat. There isn't a huge difference between actually sailing a small keelboat and a dinghy, but there are fairly big differences between storage, maintainance etc. Completely disagree. 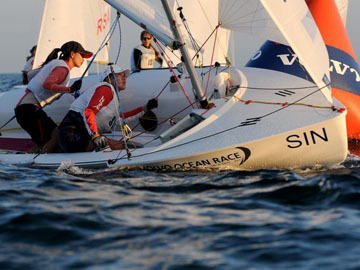 If you can afford it then dry sailing a small keelboat is the best option. Easier to keep clean and no antifouling. Its no hassle at all. Swinging moorings are actually more of a hassle than they sound. You have to motor or paddle out to get your boat. The outboard won't work, someone stolen your tender, the water taxi is busy taking everyone else up the river etc. etc.